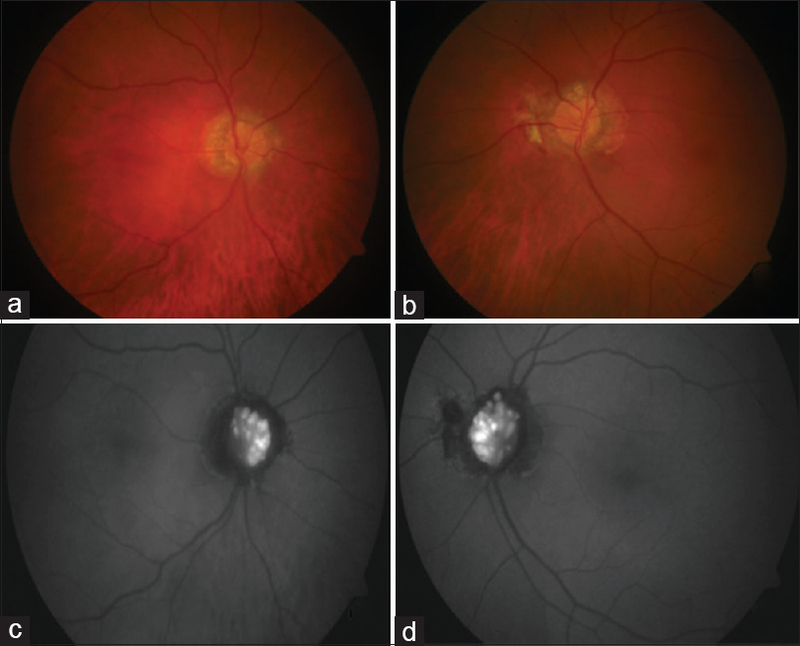 A 67-year-old male presented with blurred vision (6/12) for 4 months, with pseudophakia and normal intraocular pressure in both eyes. The optic discs were small, with lumpy bumpy border, peripapillary atrophy, and yellowish irregular deposits on the surface, which were brightly hyperautofluorescent on fundus autofluorescence and hyper-reflective on ultrasonography B-scan with acoustic shadowing, suggestive of drusens. The patient was advised refraction, visual field testing, and fluorescein angiography. - Optic disc drusens are calcified deposits, typically autofluorescent, occurring in small, crowded discs. - They may often mimic papilledema.